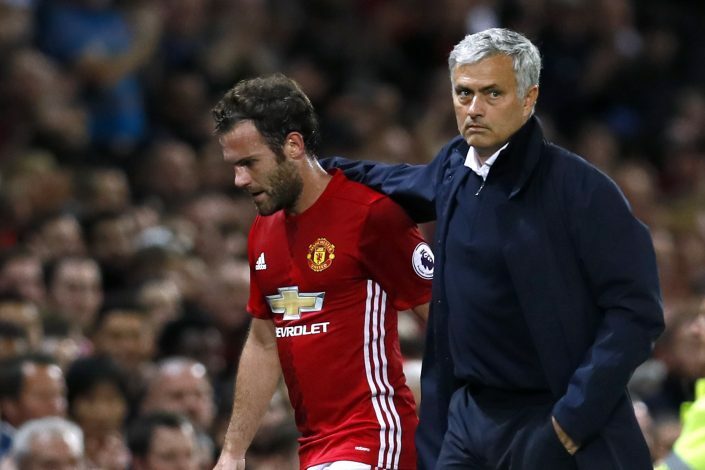 Juan Mata has been on the receiving end of tremendous praise lately, after a video was uploaded on social media, featuring him and a disabled Manchester United fan. Juan Mata is currently in hot form, and has easily been United’s best player in their last 2-3 games. He scored an impressive goal against the reigning Premier League Champions Leicester City last weekend, and followed it up with a man of the match performance in United’s Europa League clash against Zorya Luhansk. The Spaniard also played well against Stoke City this Sunday, but despite creating numerous chances from the Number 10 position, he couldn’t help his side secure a win, as the game ended 1-1. The 28-year-old’s latest performances must have certainly impressed manager Jose Mourinho, and the magical playmaker looks to have booked himself a concrete spot in Manchester United’s starting line-up. However, it’s not just Jose who has gotten impressed by Mata lately. Football fans from around the world have now come to appreciate the midfielder as well, not only for his brilliance on the pitch, but for his humility off it. A video has recently emerged on social media, wherein Mata is seen taking some time out just to meet with a disabled Manchester United fan, named Alex Neild. Juan is seen running towards Alex to speak with him. The Spanish international then converses with the young lad’s father, and then gives him a hug before posing for a few pictures. The video was originally uploaded on Facebook by a user named Leon Labko. The post was captioned: “Late afternoon Saturday 1st October 2016. Alex Nield meeting up with Juan Mata where players assemble for their team coach trip to the Lowry.